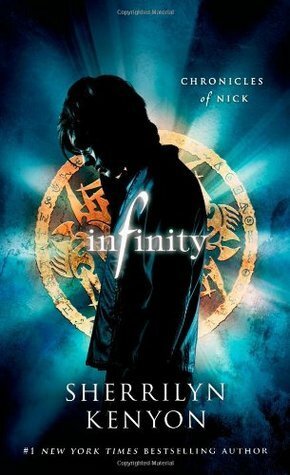 I’ve read some of Sherrilyn Kenyon’s adult series that’s set in the same world, but I’ve never read Nick’s story before. I think I always just felt like a book revolving around a 14 year old wouldn’t hold the same intensity and grittiness that the Dark-Hunter world is so heavily saturated in. However, Nick’s story is just as dark and twisted as her adult series. There are zombies, demons, and death in this story. Even though it is a young adult story, it isn’t a fluff piece. Not only did I really like that it was just as dark and mysterious as the adult series, but there was also humor in it too. I found myself smiling a lot while listening to this book. A huge part of that was the narrator’s ability to alter his voice and really capture the emotions of the scene. From Nick’s mom, to Ambrose, to his friends, to Nick himself, the narrator was able to keep each characters voice, mannerisms, and personalities completely separate. I really enjoyed listening to this audiobook. I wasn’t overly sure whether or not this story was for me at first. I was worried it would be too toned down for the younger readers, but the author managed to keep that same feel in this book. While her adult series has quite a bit of romance in them, which this one lacked, there was so much adventure and fighting going on that I didn’t even miss it. Love that quote. I’ve never read this author, but I remember when this series came out. I like when YA books are dark and gritty! And some nice humor here and there is good too. I bought this book YEARS ago because I really wanted to read and of course never got to it lol One day…. I remember reading the Dark Hunter series from this author back in the day. A friend and I devoured it together, and we loved the series so much. I really want to revisit it. I’m glad this one was able to capture the same intensity for you. I can see how it would be a concern. I haven’t read this one but I love her other books.